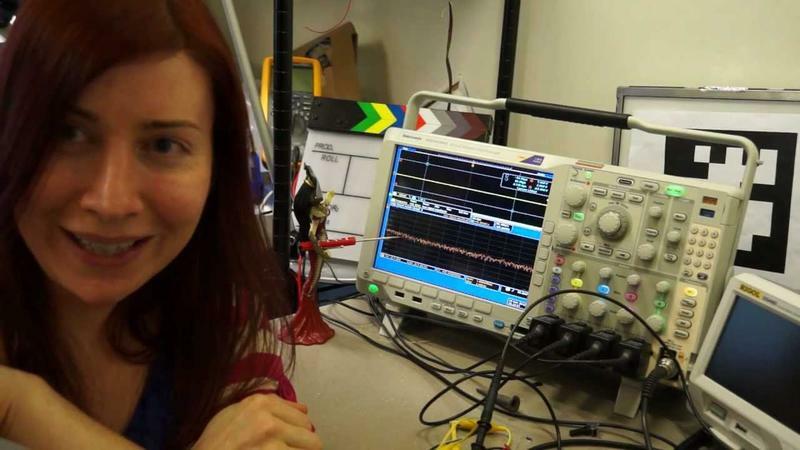 Entrepreneur and electrical engineer Jeri Ellsworth AI6TK will be guest speaker at the AMSAT/TAPR banquet which takes place during Hamvention 2018 in May. The twelfth annual joint AMSAT/TAPR Banquet will be held on Friday, May 18 at the Kohler Presidential Banquet Center, 4572 Presidential Way, Kettering, OH 45429 (just south of Dayton). Doors open at 6:30 PM for a cash bar with the buffet dinner served at 7:00 PM. Jeri Ellsworth, AI6TK, will present on her innovative ideas and adventures in Amateur Radio. Jeri is an American entrepreneur, self-taught engineer, and an autodidact computer chip designer and inventor. early 1980’s, and at peak, sold over 70,000 units in a single day via the QVC shopping channel. Ellsworth co-founded CastAR (formerly Technical Illusions) in 2013 and stayed with the company until its closure on June 26, 2017. In 2016, she passed all three amateur radio exams, earned her Amateur Extra license, and received the AI6TK callsign. This has now launched new adventures into Amateur Radio. She has been featured in January 2017 QST and in YouTube videos from Quartzfest earlier this year. Jeri has been given a free hand to speak on whatever topic she wishes (as long as it’s amateur radio, somewhat).